I myself have also started building scenes in Fabuland style. 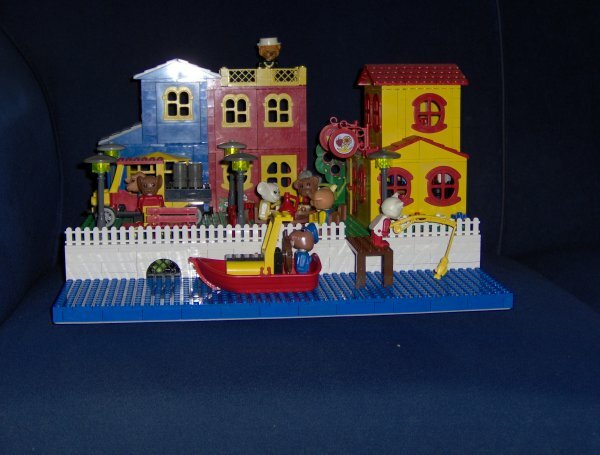 This Fabuland scene was part of a project of the Dutch LEGO community "De Bouwsteen". 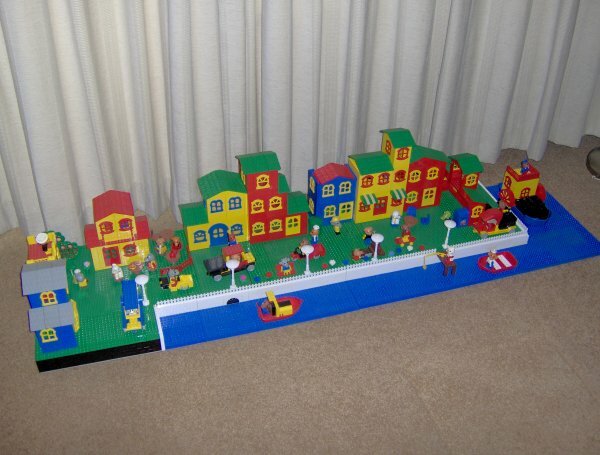 Members could build their own creation on a 48x48 baseplate to be displayed at the LEGO museum at Billund. After creating 1 display at a 48x48 baseplate I started to make more. The photo on the right shows 4 sections. The are made modular, such that different layouts can be easily made. All houses can be easily taken off the basic sections, as well as the figures and entourage such that the display can also be shown at different shows.